Many people often depend on iTunes for the solution to their problems on an iPhone. They believe the answers are only provided within the shores of iTunes; however, that may not be true as many of iPhone problems can be solved without using iTunes. One of such problem is Jailbroken iPhone. Most times, people ask how to erase jailbreak iPhone with iTunes, but in this article, you will be taught the several ways on how to erase jailbreak iPhone without iTunes. Firstly, a jailbreak iPhone involves you being able to gain access to some applications by installing them without the authorization of Apple. While Jailbreaking an iPhone, security protocols are compromised, and the only way to stop all these from happening is by erasing a jailbreak iPhone. 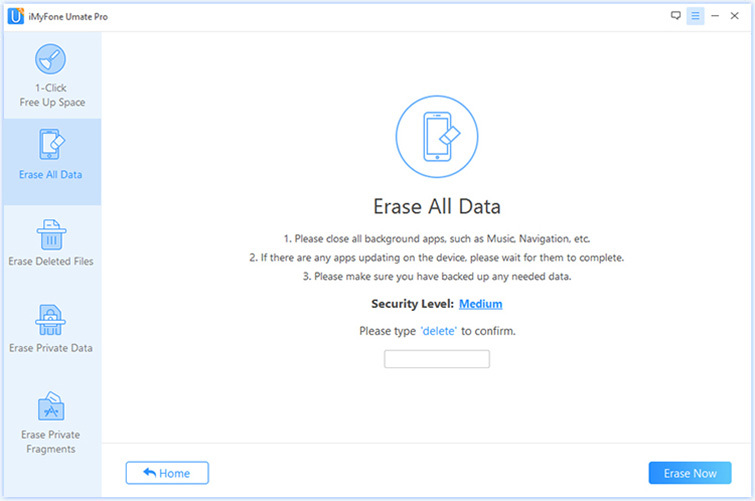 There are several ways of erasing Jailbreak iPhone, and one of them is the use of an erasing tool called iMyFone Umate Pro for Windows or iMyFone Umate Pro for Mac. With the use of iMyFone Umate Pro, you can totally erase all the data gotten via these applications and restore the phone back to its original state. 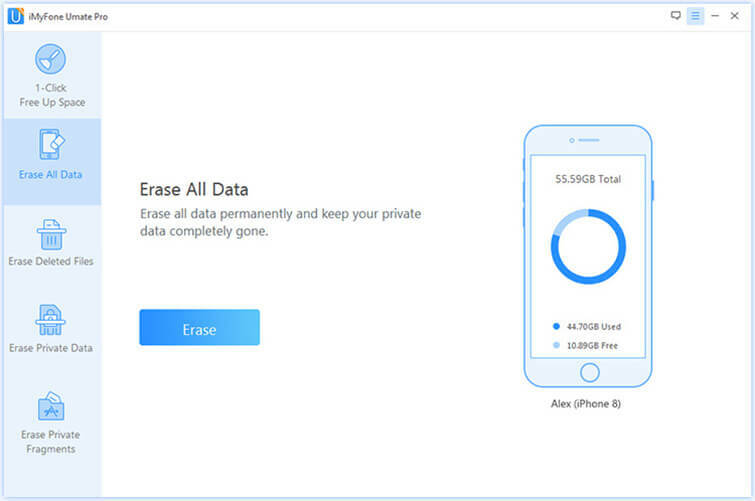 iMyFone Umate Pro erases Private or Personal data without being traceable. It also erases all data on iPhone completely making them act like they never existed. All previously deleted files are located and are deleted permanently. 100% wipe 3rd-party apps including WeChat, Kik, WhatsApp, and over 10 third-party apps. With the one-click feature, all hidden junk files, caches, temp. files are cleaned up totally. 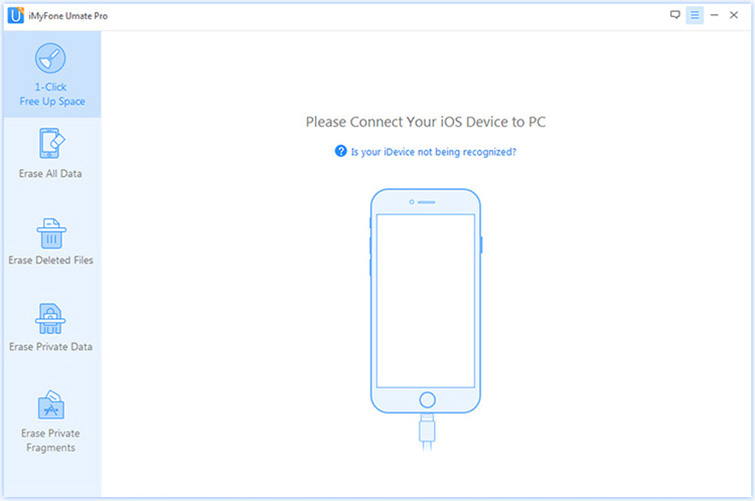 Step 1: Ensure your iPhone is connected to your PC via a USB cable. Step 3: On the next page, you will be asked to type “delete” into a box.” Choose a security level and ensure a confirmation. Step 4: Click on the Erase Now button to tart the Erase process. Cydia Impactor is the latest invention of Saurik to directly remove jailbreak from an iPhone or iOS device generally. With the aid of this removal tool, it restores your iPhone to its original state and updates your device to a current firmware available. In summary, all jailbreak packages that have been installed will automatically be removed while still on the iOS version. Back up your data on the safest place as possible. It could take quite some time, so ensure you have enough battery or power on your mobile device. Internet connection is one important thing to be considered; it must be stable and fast. Step 3: After installing, a new icon pops on your home screen called Impactor, click on it to open. Step 4: Carefully read instructions displayed on the screen and ensure you tap on “Delete all data and unjailbreak device.” Once you tap, press “Delete All” to confirm. Step 5: Several times will your device reboot, ensure it is not disturbed while it does that. Step 6: Once achieved, you will be directed to a welcome screen where you can set up the iOS device and activate it. Step 7: Restore back up during the setup process. iLEX RAT is a Cydia app holding recovery features that may be needed on Cydia generally. All you have to do to get the recovery features is to go to Cydia Store and enter the “Sources” tab. Once you are in the tab, ensure you initiate an edit mode and tap on the “Add” button where you put in an address: http://cydia.myrepospace.com/iLEXiNFO/. After the app is installed, you can now proceed by pressing the iLEX Restore and start the restore process for your iPhone. SemiRestore was created to help support a restored jailbroken iPhone without losing Jailbreak as well as the Cydia tweak. All you have to do in order to use SemiRestore is download, unzip and run the EXE file which is in the program. Afterward, connect your iPhone to a computer and allow SemiRestore to discover it. Once, your iPhone has been discovered, ensure you press the SemiRestore button. However, it takes over 5 minutes to restore iPhone firmware to standard condition. In the above article, you have been taught on how to erase jailbreak iPhone without iTunes using several methods. Out of the three methods, the use of iMyFone Umate Pro seems like the easiest and the most effective because all data are completely deleted restoring your iPhone to a good state. It is time-effective, and you don’t have to worry about privacy risk or future problems too.